Bleu de Termignon is a natural blue cheese is made by Catherine Richard in the Savoie's Vanoise National Park: highly protected mountain pasture at the kind of altitude (2000m) that takes your breath away (quite literally). Roads here are barred to those without special permission from the National Park so a visit to Catherine's chalet in the Haute Maurienne Valley begins with a 4am walk through dark mountain terrain towards the lights of the farm in the distance. Snow melts late in this valley, and it’s not usually until the 15th of June that Catherine will drive her small herd of 18 Abondance and Tarine cows up into the mountains to get their first taste of mountain pasture. They will descend again in mid-October. Bleu de Termignon is only made with the rich milk that results from these few short months of alpage grazing. The sweet, floral notes that often accompany the first wheels of the season speak of the wild flowers which carpet the pasture during the weeks after the thaw. As a natural blue recipe, the blue moulds that colonise the paste of a wheel of Bleu de Termignon are not added to the milk as they are in most modern blue cheeses. Instead they occur naturally in the cheesemaking environment – they are the blue moulds of the chalet, the valley, the mountain. Almost all of Catherine's equipment is made of wood – cheese moulds, draining boards and maturing shelves, and all of these wooden surfaces are naturally inoculated with the flora which flourishes in the valley's damp climate. The rinds of the Tommes in Catherine's maturing cave display the same rust red moulds as the chalet's slate roof and stone walls. It’s a simple demonstration of the nature of this recipe, its clarity of relationship between environment and end product. When Catherine descends into the valley each winter this flora lies dormant in the freezing climate, ready to come back to life after the thaw. She brings with her the year's batch of Bleu de Termignon, which must continue maturation. 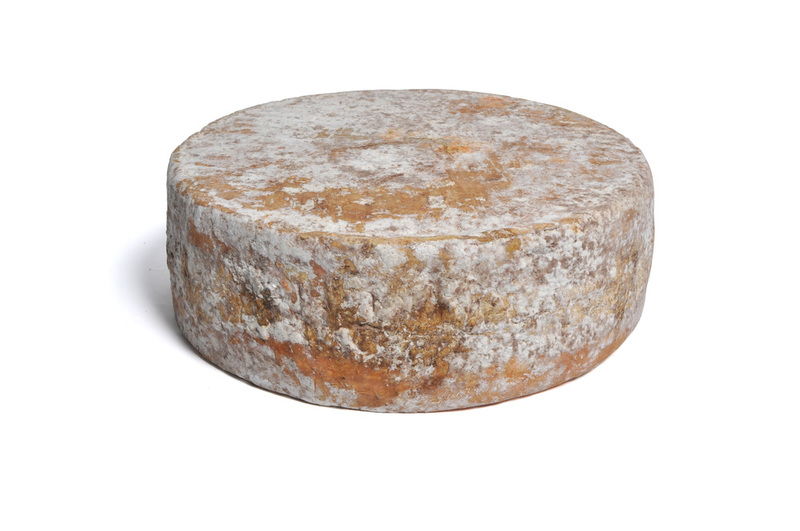 Our first wheel normally arrives with ceremony each year in November, its opening a moment of breaking into the unknown – sometimes the mottled rind hides a pure white paste devoid of any eponymous ‘bleu’. Sometimes there is just the merest hint of blue, clustered near the rind. At this stage the cheeses taste lactic, yeasty, often with a floral sweetness that speaks of mountain pastures. As the weeks pass, the open wheels undergo a steady transformation. Oxygen feeds the blue moulds and they spread through the paste, bringing with them more savoury, herbaceous flavours.